For those of us who’ve never played the video game of the same name, it’s still a little hard to believe that not only is a live-action Pokémon: Detective Pikachu movie on the way, but the titular rodent will be voiced by none other than Deadpool himself, Ryan Reynolds. And yet here we are, with the first trailer now online and available to watch above. When these world-conquering critters first became a cultural phenomenon back in the ’90s, parents across the globe were left baffled by what exactly Pokémon was, but now that this first generation of aspiring trainers are all grown up, you can expect the upcoming movie to draw in a fair few nostalgic adults alongside the kids. What’s more, if your knowledge of the games doesn’t go much beyond the Red and Blue days, it doesn’t look like this film will be assuming too much background of the monsters beyond the first 150. While the likes of Jigglypuff and Psyduck make appearances, Mr. Mime gets a little segment of his own, in which Detective Pikachu himself struggles to get some info out of his literally silent suspect. Since the idea of capturing animals and forcing them to fight is pretty horrifying when you think about it, it looks like we might not be seeing much of the usual trainer battles that were central to both the games and the animated shows, with the trailer’s opening lines speaking of “harmony between humans and Pokémon.” So while lead human Tim Goodman apparently had goals to be a Pokémon master when he was a child, it looks like he and his little yellow partner will have a slightly less violence-based relationship than the one between Ash Ketchum and Pikachu. 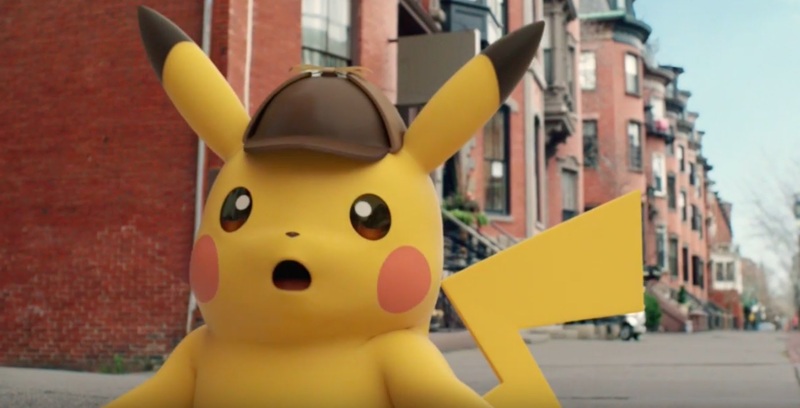 Justice Smith’s character can even understand what his new friend is saying, which will surely come as a relief to any parents who were dreading two hours of “Pika-Pika!” when Pokémon: Detective Pikachu comes out on May 10th, 2019.